Every July, summer’s carefree days and warm evenings are rudely interrupted by back to school signage bearing bad news: your days of freedom are numbered and life is about to end all over again. Still, among the dread for a new school year and despair for unrealized summer plans, there’s a renewed sense of hope. 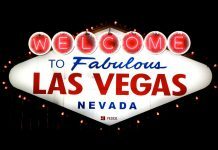 This is the year to buckle down! No more all nighters because you didn’t study all semester, and no more leaving homework to the last minute. The potential for the perfect semester is what makes shopping for school supplies so much fun. Sharp pencils, color-coded binders, and brand new notebooks are the easy-to-shop-for staples (pardon the pun), but finding the right laptop to carry you through your coursework is a little more difficult. Striking the perfect balance of power, price, and portability isn’t easy, and it’s different for everyone. This laptop guide narrows has options for every kind of student and every size of budget. It’ll help you decide which laptop is best for you (or the student in your family) so you can get back to enjoying the last few weeks of the summer. If you already have an idea of the kind laptop you’re shopping for, hit the links below to jump to the recommendations for that category. How much power you need will depend on what your average school day looks like and what you plan to use your laptop for outside of school. If you’re shopping for a new laptop for grad school, you might be looking for an upgrade that you can also take to job interviews. If you’re in high school and balancing class work with your YouTube side-hustle, you probably want something with a little more power. Read on for for laptop recommendations that run the gamut in style, price, and performance. In the last five years, ultrabooks have made their mark in the mid-range laptop market. 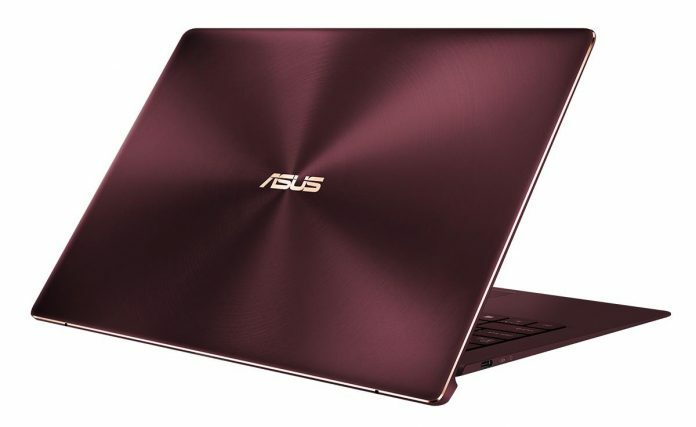 Slim, sleek, and affordable, the ZenBook 13 UX331UA offers an easy entry to our high-end ZenBook family without sacrificing style or tanking your budget. Priced at $749, it features a premium metal chassis in subtle Icicle Gold and measures just 14 mm thick. Weighing in at 2.6 lbs, the UX331UA is made to be carried with you wherever you go. Narrow 6.9-mm NanoEdge bezels allowed us to squeeze a 13.3” Full HD display into a compact footprint that measures just 12.3” x 8.5”. The display features a matte coating to counter bright overhead fluorescent lights in classrooms, libraries, and labs, while full coverage of the sRGB color gamut ensures you’ll see every shade, and 178° viewing angles keep colors vivid and bright when you’re sharing your screen. Purring away at the heart of this nimble notebook is a Kaby Lake-R Core i5-8250U CPU clocked at 1.6GHz with Turbo speeds up to 3.4GHz. It’s complemented by 8GB of RAM to ensure smooth switching between apps while you stream music, send email, and work on presentations. If you’ve got bigger jobs on your to-do list, the CPU’s four cores with Hyper-Threading are up to the task. Heavier workloads, like photo and video editing, are a snap, and the 256GB SSD ensures all of your applications load quickly. Though it’s incredibly thin, the UX331UA is blessed with plenty of connectivity, including two USB Type-A, a reversible USB Type-C port, and an HDMI port for extending your display to a TV, projector, or external monitor. The 50Wh battery is rated for a full day on a single charge, so you can unplug each morning and head to class without worrying you’ll be looking for an outlet by lunchtime. 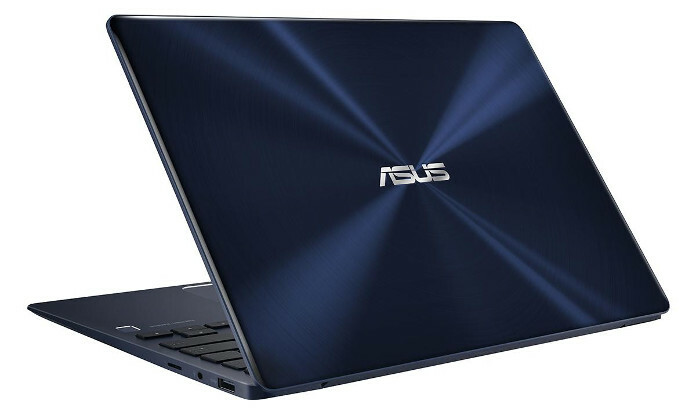 You can get the ZenBook UX331UA starting at $799 USD or $1,099 CAD. Check out the full system specs and retail availability in the table below. Dimensions 8.7" x 12.7" x 0.5"
The arrival of Kaby Lake-R has been one of the biggest upgrades for ultrabooks ever. For the first time, ultrabooks have four real cores, and the days when these lightweight ultraportables couldn’t be trusted with much more than email and web-browsing are long gone. We doubled down on power for the ZenBook 13 UX331UN, packing it with a Kaby Lake-R CPU and a discrete GPU from NVIDIA that gooses performance for more graphically demanding jobs. The UX331UN features a 13.3” Full HD display inside a smaller 12-inch-wide body. Easy to slip into a backpack or tote, it weighs jut 2.5lbs, so your can be guaranteed that your schoolwork won’t physically drag you down as you dash across campus. But that’s where the similarities end. The UX331UN trades the vanilla ZenBook 13’s Icicle Gold for a brilliant blue chassis that’s as striking as it is stylish. Under the hood you’ll find an 8th generation Core i5-8250U CPU from Intel paired with 8GB of RAM, and an NVIDIA GeForce MX150 GPU. The processor is primed for more complex tasks, like photo editing and 3D modeling, while the GPU delivers an added boost for video editing and rendering. With a 256B M.2 SSD on hand, you’ll have more than enough space for assignments and can always back up old projects to an external drive when each semester wraps up.With two USB 3.1 Gen 1 Type-A ports for plugging in peripherals and thumb drives, as well as an additional any-way-up USB Type-C port, you won’t have to unplug your mouse just to stick in a USB stick. A full-size HDMI port allows you to hook up to an external monitor so you can have a desktop-like setup in your room for extended study sessions. If you work better at the library, the 50Wh battery is good for a whole day of work, and ensures you won’t be lurking at the perimeter, waiting for an outlet to open up, while the backlit keyboard will keep you productive long after they turn out the lights. The ZenBook 13 UX331UN is available the retailers at listed in the table below and is priced at $999 USD. Decked out in black plastic and dull designs, the most attractive thing about an entry-level laptop is usually its price tag. 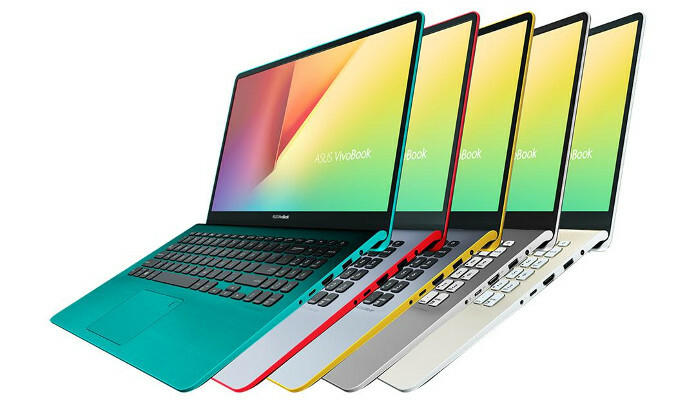 The VivoBook S series flips that convention on its head with an entire family of laptops available in a range of cool colors that allow you to show off your own personal style. The VivoBook S15 S530 is designed to make a statement. If you choose the more pearlescent Silver Blue with yellow trim or the cool Starry Gray with licks of red, you’re guaranteed to stand out from the sea of sameness in your class. A Gun Metal silver option with pale grey accents caters to anyone with a more stealthy style that still has some edge, while the Firmament Green leads the pack as the boldest of all the designs, incorporating teal accents and an awesome textured finish on the palm rests. Real style is more than a coat of paint, though, so the VivoBook borrows from our newest ZenBooks with a classy chassis that’s functional as well as fashionable. Brushed metal on the lid lends a premium feel without adding extra weight, and the ErgoLift hinge props the keyboard up at a more ergonomic angle. This unique design ensures comfortable note-taking through those classes that feel like they’re never going to end. 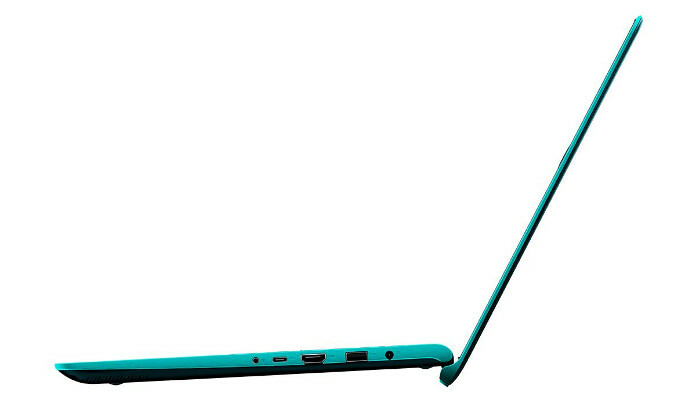 It also highlights the VivoBook’s thin frame. Measuring in at just 14.2″ x 9.6″, the S530 eschews the notion that 15” laptops take up loads of space. It’s less than an inch thick and will slide handily into any school backpack. The 15.6” display is sandwiched between narrow bezels that measure just over 6 mm on either side. The top bezel is slightly thicker to accommodate the webcam for video chat, streaming, or recording videos. The screen is a Full HD panel with wide 178° viewing angles that keep colors looking vivid and bright even if you’re sitting off to one side, so you can comfortably watch Netflix with friends, and doing project work with a buddy doesn’t require passing the computer back and forth or switching seats. Powered by Intel’s 8th generation ultrabook processors, the VivoBook S features the same Core i5-8250U as the ZenBook 13. It’s matched with 8GB of RAM and is more than capable of juggling Microsoft Office with your Chrome tabs and Spotify streams, along with whatever else you’re doing to avoid your latest assignment. It can even handle more creative efforts like photo editing. With 256GB of SSD storage, your computer and apps will launch quickly so you can get right to work without any waiting around. The HDMI port lets you easily connect to an external monitor or projector, and two USB Type-A ports, and a reversible USB Type-C port are on hand for connecting external HDDs and and peripherals. Budding photographers will be glad to see the SD card slot, too. The dual-band 2×2 802.11ac WiFi hops onto the web from wherever, and Bluetooth 4.2 allows you to connect a mouse without having to plug into one of the USB ports. 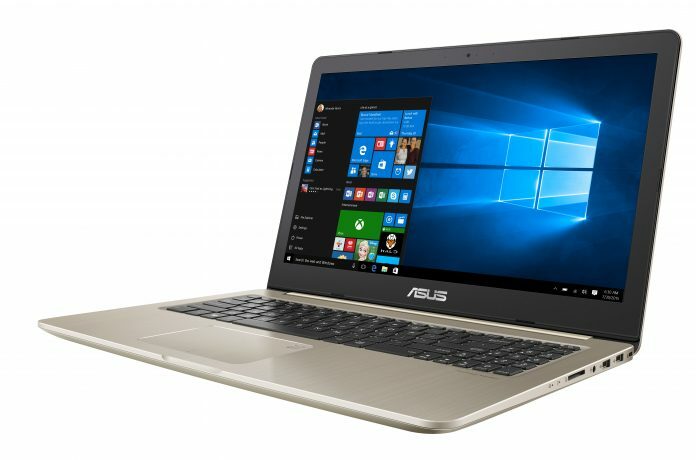 The VivoBook S15 S530 is priced at $699 and $929 CAD in Canada. Check out the table below for retailers in your region selling the VivoBook S.
Dimensions 14.2" x 9.6" x 0.7"
The VivoBook Pro N580 takes things to the next level with a more mature design that’s perfect for students with a more serious creative streak. Dressed all in champagne gold, it packs an i7-7700HQ quad-core CPU, 16GB of RAM, and discrete graphics into a powerfully slim package. Intel’s Core i7-7700HQ boasts four cores and is ideal for heavier workloads, like photo and video editing. It’s made for handling multiple tasks simultaneously, so you can work on your next project while the previous one renders in the background. An NVIDIA GeForce GTX 1050 GPU from NVIDIA is on hand to deliver additional muscle for accelerating more complex jobs and is also well able for gaming if that’s more your speed. The GTX 1050 will handily run popular games like Overwatch and Rocket League for bouts of entertainment between study sessions. A 512GB M.2 SSD ensures fast boot and load times, but there’s also support for 2.5” drives, so you can add more storage down the line rather than worrying about moving files to the cloud or uninstalling games or applications. The VivoBook Pro’s 15.6″ full HD display offers 100% sRGB coverage and enough detail for photo editing without the need to connect to an external monitor, although a full-sized HDMI port is on hand if you want to hook up to a 4K display in the computer lab. Support for dual-band WiFi means you can connect to wireless networks on the 2.4GHz band as well as the less crowded 5GHz band, and a Gigabit Ethernet port serves as backup wired access when you want to connect via the wired Ethernet in the library and avoid the overloaded WiFi during finals week. The VivoBook Pro N580 starts at $1,099 USD or $1,399 CAD at the retailers listed in the table below. Dimensions 14.96" x 10" x 0.75"
School presents many opportunities for extracurricular activities, but once you get past the first couple of years, you realize it’s time to buckle down. 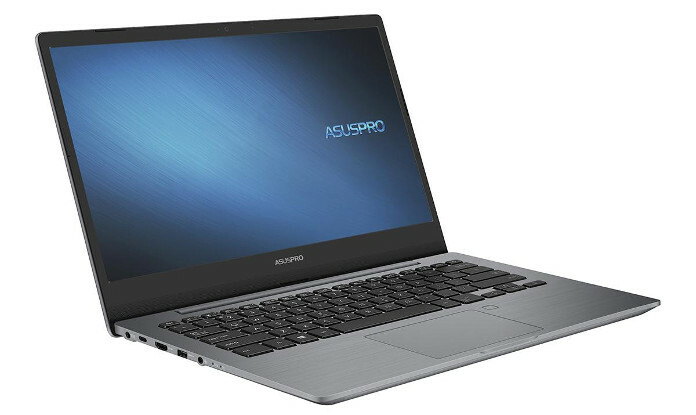 The ASUSPRO P5440 is a business laptop that’s equal parts sleek ultrabook and dependable workhorse, and it’s perfect for the determined grad student. Based on Intel’s 8th generation Core i7-8550U processor, the P5440 pairs four cores and eight threads with 16GB of RAM to chew through even the most varied of heavy workloads. An NVIDIA MX130 GPU delivers the extra muscle necessary for speeding up video editing and 3D rendering, and a 512GB SSD keeps boot-time to a minimum and ensures all your applications and files load lickity-split. The P5440 features a roomy 14″ IPS-type display with a matte coating that minimizes glare from fluorescent lights. Narrow bezels make the screen feel even larger while squeezing everything into a compact 13″ footprint. Fashioned from lightweight magnesium, it measures just 0.7” thick and weighs just 2.5 lbs, so it’s easy to toss into a messenger bag before you head out the door for work or class. Lots of laptop screens are limited in their range of motion, which can make working on your lap or low desks uncomfortable, but the P5440 is more versatile. Its 180° hinge allows you to angle the display just right for working in a range of environments. You can even push it all the way back to lie flat on the desk if you want to take notes with an unobstructed view during class. The backlit keyboard is also resistant to spills, so you can escape the distractions of campus common rooms and head to your favourite coffee shop or even a dimly lit happy hour at your local dive bar. 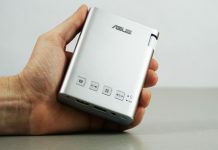 The ASUSPRO’s 50Wh battery has enough stamina to get you through a full day of classes and coursework, and all the extra frills are present and accounted for, too, including a HD webcam and enough connectivity to keep you dongle-free all day. The reversible USB Type-C port can be used to power the laptop or an external display display, and there’s a full-sized HDMI port for connecting to older monitors as well as projectors. Two USB 3.0 Type-A ports offer support for plugging in thumb drives, external storage, or even just charging your phone. The ASUSPRO P5440 is priced at $1,299 USD. Check the table below for retail availability in your region. The ZenBook S UX391 represents raw power wrapped in unrivaled beauty and is perfect for anyone in the market for something that will still be sleek and stylish enough to last beyond graduation. 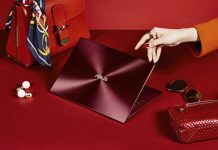 Bucking the trend for boring ultrabooks in shades of grey or black, it’s available in our signature Deep Dive Blue or a brand new and arresting Burgundy Red. Both are fashioned from aluminum that takes 40 stages from start to finish, and each features eye-catching rose gold trim that adds a touch of bling but is still subtle enough to pass for business casual. Measuring a scant 12.9 mm, the ZenBook S is one of our slimmest ultrabooks, and it’s more powerful than ever, too. Under the hood you’ll find an 8th generation processor from Intel with four cores and eight threads. Together with up to 16GB of DDR4 RAM, and 512GB of NVMe SSD storage, it boasts the kind of performance normally reserved for much chunkier Pro-grade laptops. The 13.3” 4K display is great for editing larger photos, and with full coverage of the sRGB color gamut, you’ll see every shade represented on the screen. NanoEdge bezels started on with our high-end ZenBook and the UX391 stays true to its roots by shrinking ‘em down to just 5.9 mm on either side. We left enough room up top for a HD webcam so you can video chat, goof off, and interview for jobs without worrying about bad angles or an overly pixelated complexion. Though its polished metal body and razer-thin edges ooze elegance, the ZenBook S doesn’t prioritize form over function. Every aspect of its design has also been optimized for comfort. 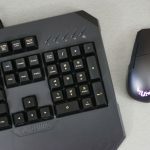 The ErgoLift hinge props the keyboard up at a more comfortable angle while also allowing for better airflow, and the keyboard itself has been redesigned from the inside out. It took three months and six prototypes to get the typing feel just right, but we managed to perfect a clicky keyboard that’s comfortable enough for hours of typing without adding girth. Despite the supremely thin chassis, we still managed to squeeze in a 50Wh battery to ensure the ZenBook S doesn’t die before the day is done. Fast charging is on hand to get you to 60% in just 49 minutes so if you forget to charge up at night, you can top up your battery while you’re showering before school. Three three USB Type-C ports adorn the edges, including two equipped with Thunderbolt 3 technology. You can charge via any of the USB-C ports and the Thunderbolt 3 connections are also capable of powering dual 4K displays for when you need more screen real-estate for longer study sessions. 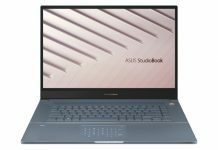 The ZenBook S UX391 is priced at $1,499 USD and $1,999 CAD and is available from the retailers listed in the table below. 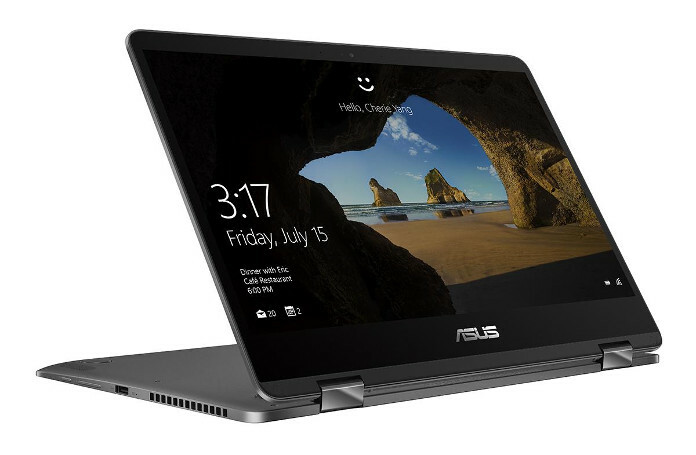 Dimensions 12.24" x 8.38" x 0.5" 12.24" x 8.38" x 0.5"
Wrapped in matte black with a gorgeous 15.6” display crammed inside a 14.6” chassis, the ZenBook Pro UX550VE is fit for profs and students alike. It takes ultrabooks to a whole new level with an expansive IPS-type display and enough muscle for heavy workloads and smooth gaming. The secret lies underneath the smooth metal skin, which hides an Intel Core i7-7700HQ CPU with quad cores and a 45W power envelope that enables much better performance than the ultra-thin laptops powered by 15W U-series processors. This is the same class of chip used in high-end ROG gaming laptops, and it’s paired with 16GB of DDR4 memory for smooth multitasking with bigger projects and the seemingly endless collection of Chrome tabs containing sources for your next paper. 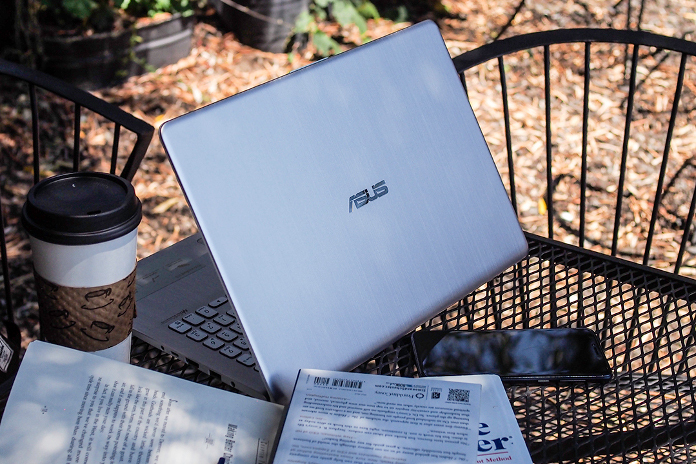 The CPU is paired with NVIDIA GeForce GTX 1050 Ti graphics, putting desktop-class power in a portable package that’s easy to take across campus or on longer trips during summer breaks. Discrete GPUs are great for accelerating demanding workloads like rendering, content creation, and even training AI algorithms. The 1050 Ti also the same graphics chip found in our TUF Gaming FX504 laptop, so it has enough horsepower to feed your Fortnite addiction on the 1080p display. Dual fans and heat pipes keep the chips from overheating, so you’re not distracted by noise or subjected to heat while studying or gaming. Connectivity covers pretty much everything, including dual USB Type-C with Thunderbolt 3 support for copious amounts blazing-fast external storage, more GPU horsepower via the XG Station Pro graphics dock, and dual 4K displays for future expansion. We didn’t skimp on comforts, either; you get full-sized HDMI, Type-A USB, and 3.5-mm audio. If you blow through the battery before the end of the day, fast charging can bring you back to 60% in just 49 minutes. 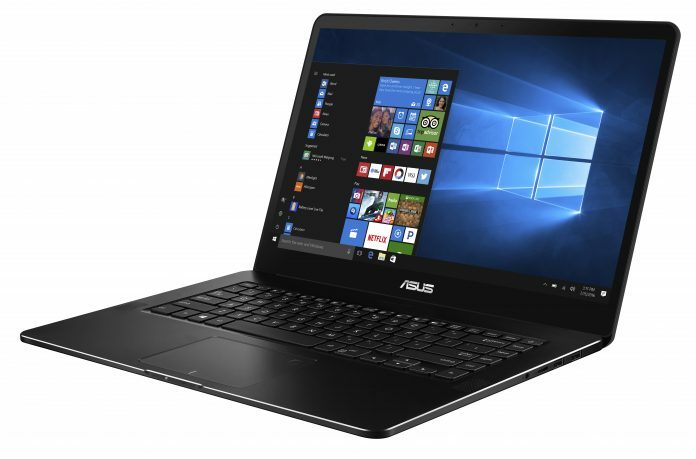 The ZenBook Pro UX550VE-DB71T is available right now for $1,699 USD and $2,299 CAD. In August, you’ll also be able to opt for a new UX550GE-XB71T version that upgrades to a 4K display and six-core Core i7-8750H processor for $1,799 USD. Dimensions 14.4" x 9.9" x 0.74"
Collegiate esports are taking off, and the new Strix Scar II and Hero II are built specifically for competitive play, but you don’t need varsity-level skills to appreciate what these versatile twins bring to the team. The super-narrow bezel surrounding the display immediately focuses your attention, pulling you deeper into the next round of Fortnite or the all-nighter required to crank out your next term paper. Inside the frame, the 15.6” IPS-type panel produces vivid colors with 100% sRGB coverage well-suited for creative work, and they’re visible across wide viewing angles perfect for binge watching with a roommate. The ultra-fast 144Hz refresh rate and 3-ms grey-to-grey response time deliver when it’s time to play, with silky movement and sharp visuals that heighten the experience.Slim bezels help the GL504 squeeze into a smaller footprint that takes up less room on a desk, leaving more room for your mouse to roam. There’s plenty of power under the hood, starting with a six-core Coffee Lake processor capable of slicing through CPU-intensive content creation, rendering, and compiling. 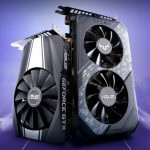 The Scar II packs NVIDIA GeForce GTX 1070 graphics that push triple-digit frame rates with the eye candy turned up in popular games like Fortnite and Overwatch, while the Hero II uses a GTX 1060 that offers smooth gameplay across a wide range of titles. 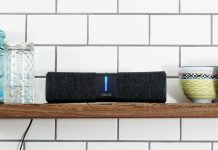 Both are chilled by an efficient cooling system that generates more airflow with powerful blowers and a patented lid, dissipates more heat with thinner fins and three heatsinks, and keeps vital surface area clean with anti-dust tunnels. Overboost maximizes cooling and performance with a simple keyboard shortcut, and you can switch to silent mode for stealthy studying at the library. More powerful graphics serve the Scar II’s mission in first-person shooters, and it certainly looks the part. The gunmetal, kevlar, and camo patterns set the tone, and highlighted WASD keys drive it home. Styling is subtler on the Hero, with a cyber-text pattern that matches recent ROG gear, glimpses of red metal at the back, and translucent caps across MOBA-specific keys. 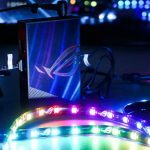 Customizable RGB lighting lets you choose your own look for the four-zone keyboard, all-new light bar, and ROG logo on the lid, and Aura Sync makes it easy to coordinate colors and effects with ROG mice, headsets, and other peripherals. Although the desktop-style keyboard is optimized for gaming, its comfortable 1.8 mm of key travel and fast-actuating Overstroke technology also feel great when you’re typing notes and writing essays. Dedicated hotkeys for volume and mute let you quickly drown out distractions like noisy dorms. The intelligent multi-antenna array automatically seeks out the best signal for the integrated 802.11ac Wave 2 WiFi, extending wireless range so you can avoid crowds around hotspots. 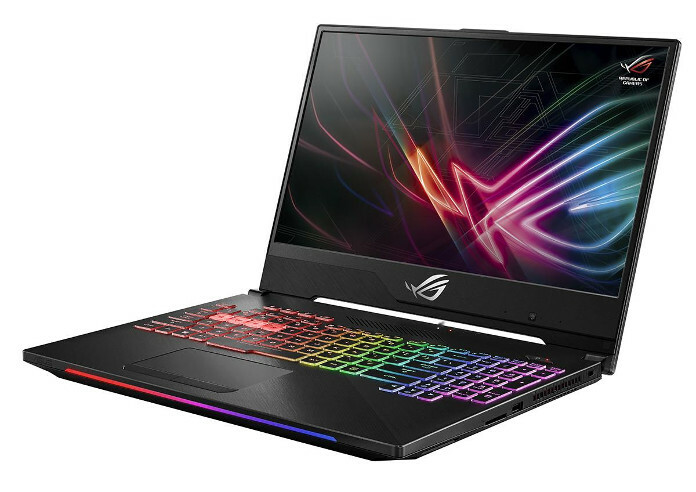 The ROG Strix Hero II GL504GM-DS74 sports a well-rounded spec with GTX 1060 graphics, 16GB of DDR4 memory, 256GB of NVMe storage, and a 1TB HDD for $1,699 USD. For more serious work and play, the Strix Scar II upgrades to a GTX 1070 and 1TB FireCuda SSHD for $1,999 USD. Dimensions 14.2" x 10.3" x 1"
While the Strix sequels add premium upgrades, the TUF Gaming FX504 focuses on the essentials to avoid eating too much into your beverage budget. It’s built tough, with a durable chassis that can survive being tossed in and out of bags for as many years as it takes until you’re ready for a sweet graduation upgrade. The keys are rated for 20 million presses, allowing you to type all day and torture the highlighted WASD cluster all night. Under the hood, our patented anti-dust cooling system channels particles away from the heatsink fins to prevent buildup that can compromise stability, acoustics, and even performance over time. At an inch thick and five pounds, the FX504 is in the same weight class as the Strix. It’s easy to carry in a backpack all day, and the keyboard has everything you need for class and gaming. Its desktop-style layout has proper blocks of function keys for quicker shortcuts, an expanded spacebar under your thumb, and red backlighting to let you work through the night. And you get the same 1.8-mm travel and Overstroke technology as the Strix, providing precise control for gaming and a satisfying feel for everyday use. Connectivity is essential when you rely on a single system for everything, and the FX504 comes fully loaded. The full-sized HDMI port ensures you can always plug into a projector for presentations, an auxiliary display to augment your desktop, or a big-screen TV to supersize your entertainment; gigabit networking speeds are attainable with compatible wired and wireless connections, with a GigE jack on the side and the latest 802.11ac Wave 2 WiFi pumped through a 2×2 antenna; and DTS Headphone:X brings virtual surround sound to stereo headsets plugged into the standard audio jack. Intel’s 8th Generation Core processors up to a six-core i7 supply ample firepower for any task. They’re joined by GeForce 10-series graphics that pump out smooth frame rates at the 1080p native resolution. These silicon sidekicks are cooled by dual fans with the same Overboost, silent, and balanced modes as the Strix, allowing you to quickly adapt to any situation. The bidding starts at only $799 USD with the FX504GD-RS51, which has a Core i5-8300H quad-core processor with plenty of pep, GeForce GTX 1050 graphics with 4GB of VRAM, 8GB of system memory with upgrade potential, and a 1TB FireCuda SSHD with intelligent caching for frequently accessed data. For another $100, the FX504GE-US52 and FX504GE-ES52 upgrade to faster GTX 1050 Ti graphics with more headroom for higher frame rates and extra eye candy. The US52 sticks with the SSHD, but the ES52 take a different caching path with 16GB of Intel Optane Memory paired with a 1TB HDD. 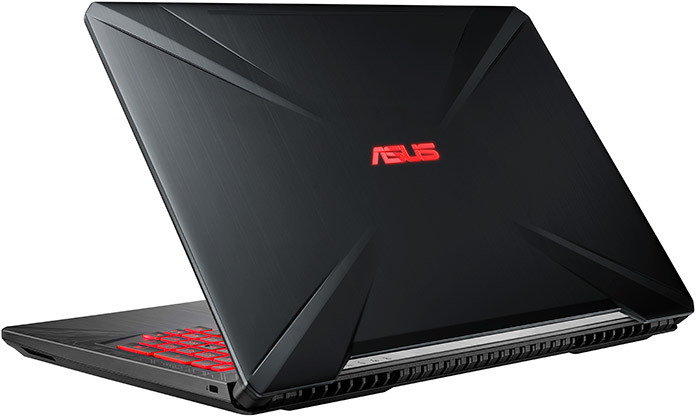 At $999 USD, you can upgrade to a muscular Core i7-8750H six-core CPU and speedy 256GB SSD in the FX504GM-ES72, or shift the budget higher FPS with the FX504GM-ES52 and its combination of a Core i5-8300H, GeForce GTX 1060 3GB, and storage tag team comprising a 128GB NVMe SSD and 1TB HDD. 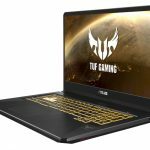 But for truly next-level gaming, you want the FX504GM-ES74, which adds a high-refresh 120Hz display with a 3-ms response time, GeForce GTX 1060 6GB GPU capable of keeping up, a Core i7-8750H with all the cores, plus 16GB of RAM, 256GB of NVMe storage, and a 1TB SSD to stack the spec sheet at $1,299 USD. Dimensions 15.11" x 10.31" x 0.98"
Laptops are great if you’re working from a desk setting at all times. But if you find yourself working in a variety of different locations, or doing work that’s better suited to pen rather than a keyboard, they’re a little restrictive. A straight swap for a tablet isn’t an option for most people, but a 2-in-1 gives you all the power of a laptop along with the versatility of a tablet. We’ve got a whole range of convertible Chromebooks, but you don’t have to give up Windows 10 for a 2-in-1 laptop. Shopping for school is expensive and a laptop is probably one of the costliest things on a student’s list. 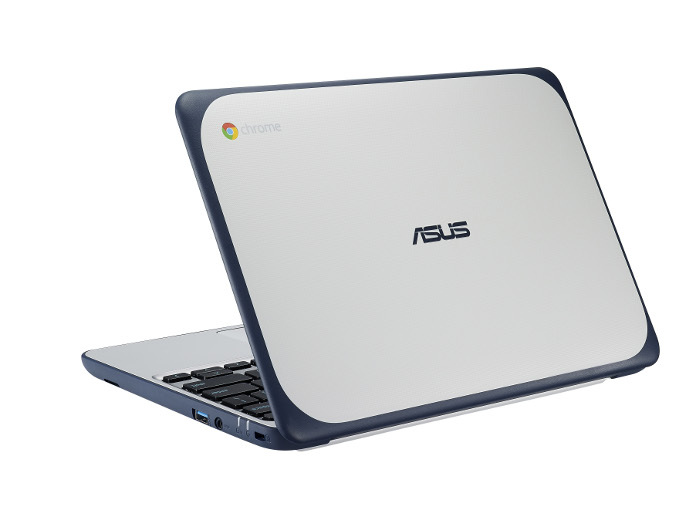 Chromebooks are awesome, low-cost alternatives that will keep you productive for just a few hundred dollars, but they don’t run Windows, which is the most commonly used operating system. If you’re looking for an affordable Windows laptop for taking notes in class and browsing the web between study sessions, the Transformer Mini T103HA is a great option. With its 10.1” screen, the Transformer Mini is, well, mini. It weighs in at just 1.9 lbs and at roughly half an inch thick, it’s not that much thicker than a regular paper notebook. The keyboard takes up the full width of the base, and with 1.5 mm of key travel, typing doesn’t feel shallow, like on a lot of ultraportables. Most 2-in-1s are of the convertible variety, so they’re a tablet and a laptop, rather than a tablet or a laptop. 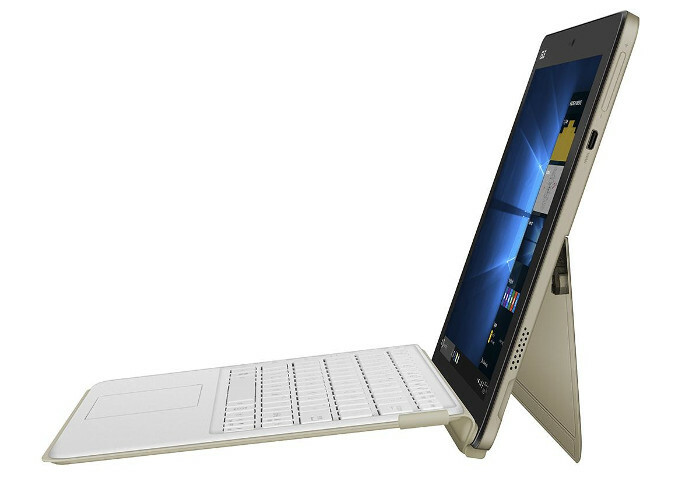 The Transformer T103HA takes the 2-in-1 concept a step further with a screen detaches from the keyboard. For days when you know you’ll just be catching up on reading or just want to take notes using the stylus, you don’t even need to bring the keyboard with you. The bundled ASUS Pen allows for an alternative method of input and can be safely stowed in the loop on the keyboard cover when you’re not using it. It’s got 1,024 levels of pressure sensitivity and is ideal for doodling and diagramming or annotating course material when you don’t feel like fiddling around with Microsoft Word’s editing features. Based on an Intel Atom processor and 4GB of RAM, this diminutive laptop is not built for heavy workloads, but it’s ideal for Microsoft Office, researching assignments, and wasting time on social media. The Transformer Mini boasts an impressive 128GB SSD, which helps speed up load times for applications and files, and it comes with a full version of Windows 10 and a full suite of Microsoft Office for Mobile apps pre-installed, which means you can get to work right away. Though its keyboard and display separate and reconnect with a satisfying click, the most impressive feature of the Transformer Mini is definitely the battery. Thanks to its relatively low-power components and small display, it can last up to 12 hours on a single charge, allowing you to hole yourself up in the quietest corner of the library to cram in peace while everyone else fights over the outlets. It’s got a Micro HDMI port for connecting to external displays and a standard USB Type-A port for transferring files to a thumb drive or connecting to the printer in the computer lab. Priced at $379 USD and $ CAD, the ASUS Transformer Mini T103HA is available at retailers in the table below. While convertible 2-in-1 laptops offer a ton of flexibility for working in a range of different environments, they usually prioritize size and weight over performance. The ZenBook Flip UX461UN puts discrete graphics inside a lightweight, portable package that’s as powerful as it is pretty. Based on Intel’s 8th generation Core i7-8550U processor and a discrete NVIDIA GeForce MX150 GPU, the Flip 14 is meant for real work, not just note-taking. The Core i7-8550U boasts four cores and eight threads with a maximum Turbo clock of 4GHz and works alongside 8GB of RAM to juggle homework assignments, Chrome tabs, and whatever creative projects you’re working on instead of paying attention in class. NVIDIA’s MX150 delivers a bump for GPU-accelerated tasks in Photoshop and can even serve up a couple of games of Rocket League or CS:GO if you need a break. The 512GB NVMe SSD ensures snappy load times for apps and files and is roomy enough that you won’t be running out of room by Thanksgiving. The glossy black hinges offer a hint of the UX461UN’s flexibility but it’s otherwise indistinguishable from a regular notebook. Cloaked in smoky grey, it’s stealthy without being boring, and it packs its powerful components into a half-inch-thick frame that blends in with the rest of its uber skinny siblings. The 14” Full HD display serves as an expansive work space, whether you’re tooling around in spreadsheets on Excel or editing photos. Flip the display around into tent mode for presenting and the 178° viewing angles will keep the colors vivid and bright for everyone gathered round. 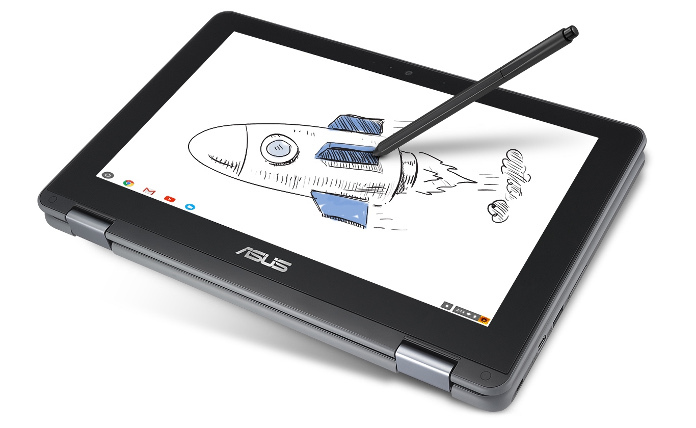 The convertible form factor is complemented by a bundled ASUS Pen and for artistic sketches and taking notes the old fashioned way. If you’re setting up at your desk at home, or getting ready to present with the projector in class, a HDMI port is on-hand to save you digging for dongles. The laptop charges using a regular AC adapter so you can hook up to an external display and plug in your peripherals and thumbdrives without playing musical ports. The top of the line UX461UN-DS74T is priced at $1,299 USD. The UX461UA-DS51T ditches the discrete GPU, drops the RAM to 8GB, and swaps in 256GB of solid state storage to shave $400 off the price tag for users with smaller budgets and less demanding workloads. It’s priced $899 USD and $1,099 CAD. Check the table below for retailers selling the ZenBook Flip 14 in your region. Not everyone needs a laptop powerful enough for photo editing. 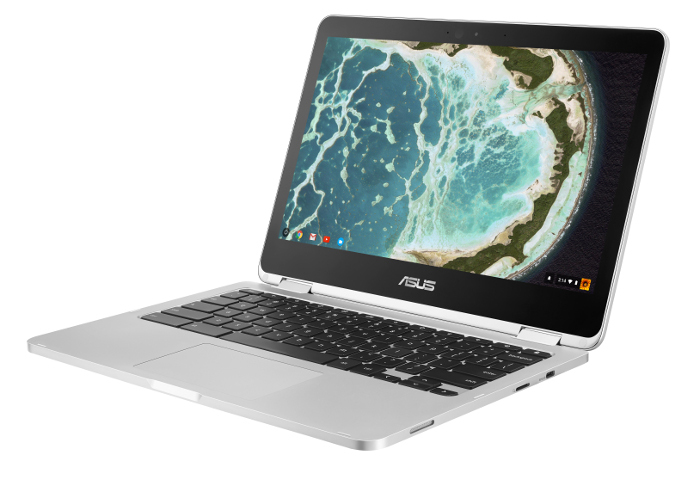 For students who just need a computer for homework, browsing the web, and little else, a Chromebook is a great solution. Though early Chromebooks were quite limited in form and function, Google’s ChromeOS has come a long way. With the ability to work offline and support for Android apps on newer models, Chromebooks are secure and easy to use. What’s more, they’re a lot more affordable than most laptops, and they come in a range of styles, form factors, and prices. Wrapped in beautiful aluminum and powered by a Core m3-6Y30 processor from Intel, the Chromebook Flip C302 goes above and beyond what you typically see in a Chromebook in terms of design and specifications without feeling like a budget laptop. The C302’s sleek design features an all-metal body for a professional aesthetic that is more scratch-resistant than regular plastic. The dual-core CPU is paired with 4GB of RAM and won’t struggle with multitasking, whether it’s multiple windows within Chrome or hopping between your favorite Android apps and working in Google Sheets. If Google’s suite of productivity apps isn’t your bag, Android support also offers access to the more familiar Microsoft Office, including Word, Excel, PowerPoint, Outlook, and OneNote. The C302’s convertible design adds to its versatility. The 360° hinge allows you to turn the C302 into a tablet when it’s time to work through your required reading, and tent mode is perfect for kicking back with some Netflix. A 12.5” Full HD touchscreen keeps things compact without cramping your style, and the full-size keyboard with 1.4 mm of key travel is backlit to help you out as you work late into the night. 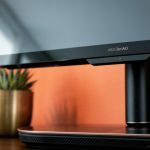 Two USB-C ports offer the ability to connect the C302 or hook up an external display so you don’t have to pick between charging and outputting to an external monitor. Chromebooks rely on the cloud for the bulk of their storage, which usually means there’s not much in the way of onboard memory. However, the C302 boasts 64GB of storage for apps and media, so you don’t have to worry about choosing your Android apps carefully or clearing off space for important documents when you want to disconnect from the distractions of the internet and get some work done. If 64GB isn’t enough, you can also make use of the microSD card slot to expand your storage even further. The Chromebook Flip C302 is priced at $499 USD or $649 CAD Check the table below for retailers stocking the Chromebook Flip in the US and Canada. Dimensions 11.9" x 8.3" x 0.59"
Offering a similar premium design to the C302 but in a much more portable package, the Chromebook Flip C101 is the ultimate companion for commuters. At 15.6 mm thick, it’s as slim as an ultrabook, and the eye catching all-aluminum exterior is not only durable, but lightweight, too. The whole package weighs in at just 1.9 pounds. The 10.1” touchscreen display sits inside a 10.4” chassis, which creates enough real estate for a comfortably-sized keyboard while keeping things compact enough to slip into a small bag or even a purse. The C101 features the same convertible design as the C302, which is especially handy for cramped settings like buses and trains where there’s rarely enough space to set up a laptop. With a quick flip you can easily convert the C101 to a tablet for reading or passing the time with a movie. The C101’s 32GB of storage is more than enough for your favorite apps, and even a few downloaded episodes of your favorite shows via Netflix for Android, but it also has a regular USB 2.0 port for expanding storage via external drives. Two reversible USB Type-C ports facilitate charging as well as video out in case you want to hook your computer up to an external display when you get to your destination. If you pack an HDMI dongle, you’ll be able to connect to almost any TV, monitor, or projector. Finally, there’s a microSD card slot so you can quickly transfer vacation photos for easy backup to the cloud and fast sharing to social media. Thanks to its smaller display, which uses less power than a larger panel, the C101 can stretch its battery life out to nine hours on a single charge, which is perfect for folks who spend all day running from class to class and then have to jump on the bus home. Priced at $299 USD or $379 CAD the Chromebook Flip C101 is available at the retailers listed in the table below. Not all Chromebooks have to have fancy metal construction and prices to match, though. There are some really affordable options built for smaller budgets, too. The Chromebook C202 is priced at just $229 USD and is built to withstand the rigors of life on campus. With a rugged design that’s undergone military-grade testing for durability, you won’t need to wrap the C202 in a special laptop sleeve before tossing it into your bag. The C202 boasts an 11.6″ 1366 x 768 display and measures in at just 11.6” x 7.9”, so it’s compact enough for even kid-sized backpacks. Powered by a dual core Intel N3060 processor and 4GB of RAM, it’s got more than enough power for browsing the web, streaming video from Netflix, and working via Google Docs. A full-sized keyboard with a generous 2 mm of travel makes for comfortable typing for students of any age. In addition to the computer’s rubberized edges that help to protect the laptop from drops up to 3.9 feet, the keyboard is water-resistant to minimize the risk of damage due to leaky water bottles. On the off chance you do some actual damage, the C202 is really easy to take apart, and its modular innards mean you can do the repairs at home. The 16GB of onboard storage is complemented by an integrated SD slot and two USB 3.0 ports for transferring media and plugging in external drives. Battery life is a solid 10 hours, which allows students to charge up at night and then grab and go in the morning. The C202 doesn’t support Android apps like some of the newer Chromebooks, but it has access to the same cloud-based software services already being used in classrooms across the country. 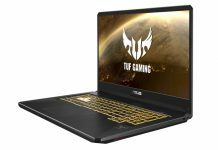 It’s a great first computer, but also a solid option if you have a desktop at home and just need something to tote to and from class. All documents are stored in the cloud, so you can login from anywhere and pick up right where you left off when you get home. The Chromebook C202 stats at $229 USD or $299 CAD. Check the table below to see where it’s available in the US and Canada. Dimensions 11.6" x 7.9" x 0.9"
The tough Chromebook Flip C213 is like a modern-day swiss army knife. It takes the C202’s rugged approach, adds a 360° hinge, a stylus, and support for Android to become the ultimate back-to-school tool. Designed specifically for grade schoolers, it’s undergone military-grade testing for durability to ensure it can survive bumps and knocks, and its rubberized corners to prevent any unsightly chips or dents. Like the C202, it’s got a spill-resistant keyboard and is easily repaired with just a Phillips screwdriver. 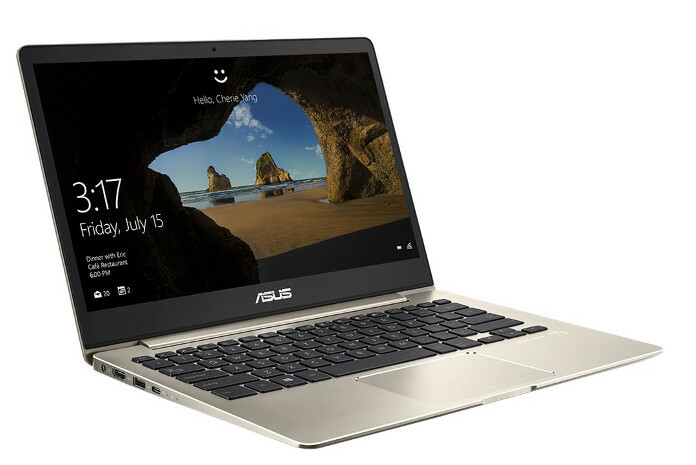 Tough chassis aside, the C213 offers all the essentials that make up a great Chromebook. Its 11.6-inch touchscreen features a matte display to diffuse distracting reflections from bright lights as well as sunlight. The optional stylus facilitates handwriting lessons and art classes, as well as more natural problem solving in math, but the touchscreen is useful on its own for more modern interactive lessons, too. The 360° hinge allows for a single C213 to be used by multiple kids at once to watch videos and slideshow., and the regular webcam in the top bezel is complemented by a second camera embedded in the keyboard, so students can shoot video, capture photos, and video chat whether they’re in tent, tablet, or laptop mode. Under the hood, the C213 is powered by a dual core Intel Celeron CPU with 4GB of RAM. It’s got 32GB of storage for offline work, and a microSD slot for expanding storage or transferring photos. Connectivity options are plentiful with two USB 3.0 ports for peripherals and external storage as well as two reversible USB Type-C ports. Both of these support video out to an external display as well as charging. The C213 is Android-ready, which brings a whole new level of functionality for kids. Access to the Google Play Store means thousands of educational apps are just a couple of taps away. And with a battery rated for up to 12 hours, students should have plenty of time left over at the end of the day for a couple of games of Angry Birds. 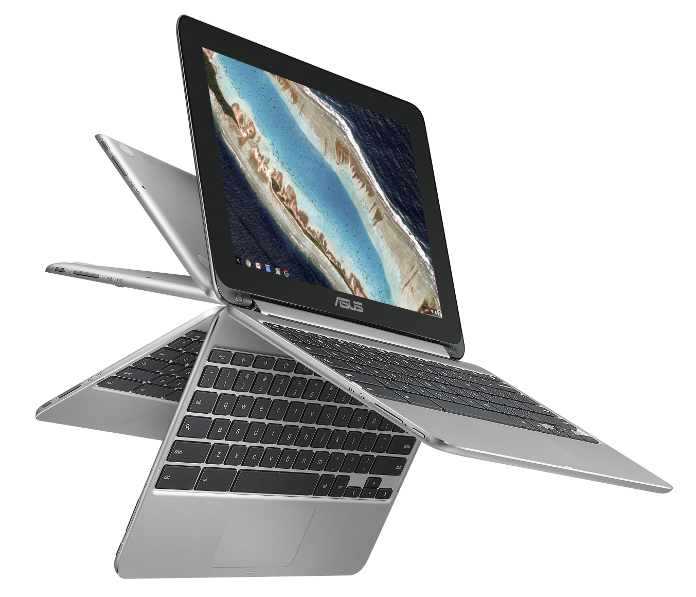 The Chromebook Flip C213 starts at $229 USD or $469 CAD for the version that ships without the stylus. You can read more about it here, and you’ll find retailers selling the C213 listed in the table below. Dimensions 12.1" x 7.8" x 0.8"